ArchitectureRichmond, one of my favorite independent Richmond publications, has a Kickstarter going so that they can revamp their website and put out a video and printed materials. 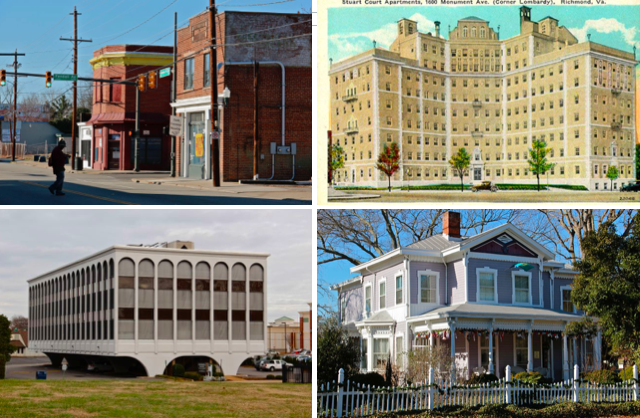 Over the last 3 years, Mario Accordino, Don O’Keefe, and Ed Slipek have published 150 or so articles about Richmond buildings and neighborhoods at ArchitectureRichmond. CHPN has linked to them any number of times. ArchitectureRichmond is one of those neat sites where you have something offered at a professional level but done as a labor of love. Take a moment and kick these guys $25. I was insulted by their sophomoric article in support of Pear Street high rise development. Clearly they did not understand context of the damage that it would cause to the neighborhood. Whether they were paid to place the article, or just had bad judgement they have not revealed. In any event, I have seen no apology from them for it. I would hope in the future they would concentrate on reporting about architecture rather than destroying communities. @1 Geoffrey, that article was strongly rebutted by Eddie Slipek in an article in Style Weekly. That is noted at the end of the article on ArchitectureRichmond, although I just today read that and it might not have been noted when it was first sent online. Eddie Slipek, whom I know, writes a lot for Style, and also came out with a good article against the ballpark in the Bottom – actually I think he may have written more than one. I understand your frustration with the article by D. O’Keefe, whom I do not know, but I think the coverage was balanced with the Slipek article and I wouldn’t condemn ArchitectureRichmond just from that one article. A bit of context, so you will appreciate my ire before I let this go. 1. I appreciate architecture. I have a GRACRE award on the mantle of my LEED platinum building. 2. In the Pear street battle, we confronted a developer who a. Had realtors pose as residents to support project before planning commission, b. Created and funded a fake community organization to pretend that there was community support, c. Produced mis,easing photos and graphics to minimize visual impact, d. Had paid employees lobby our city Councilperson pretending to be representative of community. When the article in question appeared, I emailed the author and invited him to view the site from Libby Hill. I received no response. The question remains, was the article produced as part of the developers misinformation campaign? Was the author paid for it? If so, how much (what is the price for a person of negotiable virtue?). If they were paid, do they plan on entertaining more hatchet jobs where they will sacrifice the needs of a community to line their own pockets? Let them reveal the answers to the questions. If , on the other hand, the article was a sincere expression, then the author is an idiot and has no business writing about these matters. In that case he should find another career, or at least apologize for insulting his readers. As I said earlier, I have not heard back from him and have not seen a retraction or apology. The article still stands prominently in their website without reference to the refutation which you referenced. If they own up to the truth, i am happy to send them some funds. If they are dishonest pseudo professionals then let them starve. I would like to see their response here. With all due respect, Geoffrey, I think your aversion to the project and the developer are clouding your judgement here. There are 3 contributors to the AR site – Mario, Don, and Ed. The publication is obviously academic in approach, and is not chasing controversy or page views. Ed write a piece against Pear Street which appeared online and in print for Style Weekly (here). Don write the online AR piece in support of Pear Street (here). His piece links to both Ed’s piece and an R-TD article that give plenty of ink to why other folks were strongly against this project. Your assertion that Don got paid by the developer as some sort of astroturf campaign in support of the project is really not kind, and seems incredibly far fetched. He had an opinion, which while not in line with the majority and not ultimately ‘winning’, was not badly expressed and was shared by at least some other people. Finally, Don’s post on Pear Street allows comments, wherein a civilized back-and-forth developed between Don and folk’s who generally disagreed with him.